ACZONE® Gel is a prescription medicine used on your skin (topical) to treat acne in people 12 years and older. 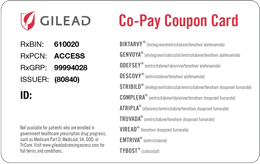 For commercially insured patients, if your co-pay for ACZONE® (dapsone) Gel 5% exceeds $20 for a 30-gram tube, $15 for a 60-gram tube, or $10 for a 90-gram tube, present this card to the pharmacist for an instant rebate of “up to” a maximum of $195. If your total pharmacy bill exceeds $215 for the 30-gram tube ($20+$195), $210 for the 60-gram tube ($15+$195), or $205 for the 90-gram tube ($10+$195), you will be responsible for the additional balance.